Maureen’s (imaginary person) test results come back from the doctor’s office and reveal that she is at risk for developing osteoporosis (weakened bones and increased risk for fractures). Her doctor tells her to drink more milk and eat more dairy. Maureen already drinks 2 glasses of skim milk a day. So she is advised to take calcium supplements. This is not an uncommon scenario. Many women have issues with calcium. However, things are a bit more complicated than “drink more milk” or “take a supplement.” Calcium absorption is dependent on other nutrients and hormones in the body; thus building strong bones requires a bit more than just more calcium. The US is one of the leading dairy consuming nations on the planet and yet we still suffer from high rates of osteoporosis or thinning of the bones. In fact, since the 1980s, osteoporosis has been a spotlighted public health issue. It is estimated that 25 million people in the US are affected by this condition. How can this be? We are drinking our calcium, so we should be okay, right? Well, interestingly enough, countries with the lowest rate of osteoporosis are also countries with the lowest dairy intake (i.e. China, South Africa). Hmm..gets you thinking, huh? Dairy products, especially milk, are touted for preventing osteoporosis and a reduced risk of fractures, yet clinical research has shown otherwise. The Harvard Nurses’ Health Study, a mega-study that followed more than 75,000 women for 12 years, found that those who drank two or more glasses of milk a day actually doubled their risk of hip fracture than those who drank one glass a week or less. Other studies have shown that dairy calcium provides no protective effect on bone. 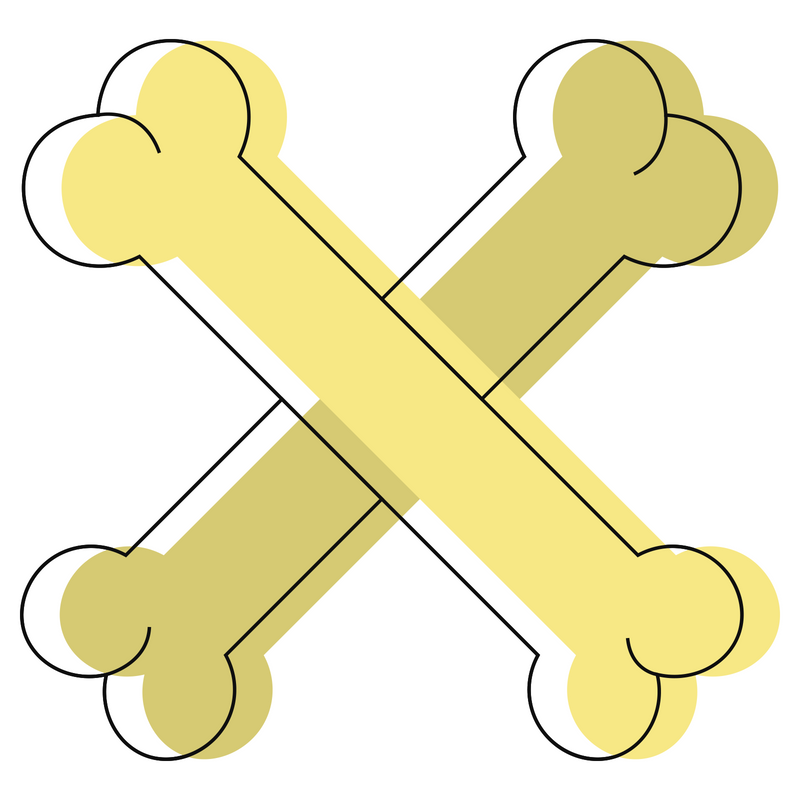 Another important component in bone health is Vitamin D. This recently highlighted nutrient helps to build immune health, but also enhances the absorption of calcium. Without adequate D, we cannot properly utilize the calcium we do receive. Many people are deficient in Vitamin D and a simple blood test will reveal your levels. The best way to get Vitamin D is from sunlight. Expose your skin to sunlight on a regular basis (I aim for about 20 minutes a day or at a time). Additionally, eating high quality fats help absorb Vitamins A and D, so to have healthy bones and teeth, you also need to include healthy fats like olive oil, avocado, nuts, seeds, and grass fed meats and butter. 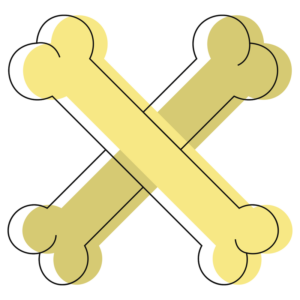 So, to sum it up, what is the best plan of attack to prevent osteoporosis? 1. 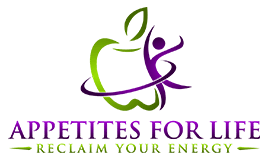 Eat a variety of mineral-rich foods, including vegetables and herbs, especially green vegetables like kale, arugula, collard greens and parsley. 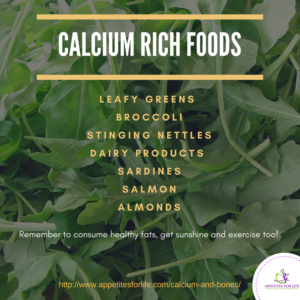 You can also focus on calcium rich foods, but make sure to get a variety to ensure enough of the other nutrients are delivered. Leafy greens, sardines, tofu, salmon (wild, cooked) and dairy products are good sources,and all should be organic to avoid pesticides, hormones and antibiotics. Stinging nettles is an herb that is very high in calcium as well. 2. Cook with stocks or broths made from simmering bones and a variety of vegetables for several hours or longer. 3. Get outside to get that Vitamin D (without sunscreen). 4. Eat high quality fats. 5. Avoid refined foods like products made from white flour, refined sugars and caffeine. These products actually steal vital minerals from your bones. 6. Avoid over-consumption of dairy. Dairy can lead to other issues in the body like congestion. If you have sinus issues, allergies or acne, you may want to cut out dairy. 7. Get moving. Exercise and build up your strength. DISCLAIMER: I am not a medical professional, so if you are dealing with a bone related condition, please always consult your doctor.